I am also reasonably confident that there aren't any in the prequels either, although I have only seen the prequels two or three times (as compared to having seen the each installment of the original trilogy scores of times). I haven't seen The Force Awakens yet, but I have asked around, and no one seems to recall seeing a bathroom there, either. If we assume that the anatomical differences between the various sentient species aren't merely cosmetic and skin-deep, then the sheer logistics of providing facilities for all the different species that inhabit the Star Wars universe - or even just the most common and widespread species, like humans, Twi'leks, Rodians, Bothans, Transdoshans, and Wookiees - would be staggering. Of course, there is no need to have facilities designed to accommodate a species that will probably never use them. Therefore, the typical Wookiee home on Kashyyk would probably have facilities designed specifically for Wookiees (because they wouldn't anticipate a Hutt needing to use their bathroom), and Owen and Beru Lars presumably had a bathroom not that different from our own (because they didn't expect an Aqualish to use their toilet). And in some cases, a sentient species might not have toilets of any kind - I would assume that Ewoks do their business in crude pit latrines, or even just out in the woods somewhere. But there are plenty of places in the galaxy where many species came together, like the Mos Eisley Cantina, or the Jedi Temple, or the Galactic Senate building. In these cases, the public bathrooms would have to accommodate all manner of different species, and the anatomical differences between the species would necessitate drastically different types of toilets. 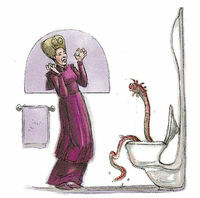 Have we ever seen a bathroom/toilet in the Star Wars universe, or seen a description of one? And how did plumbers in the Galaxy Far, Far Away accommodate for a reasonable number of the most common species in the finite space available to them? 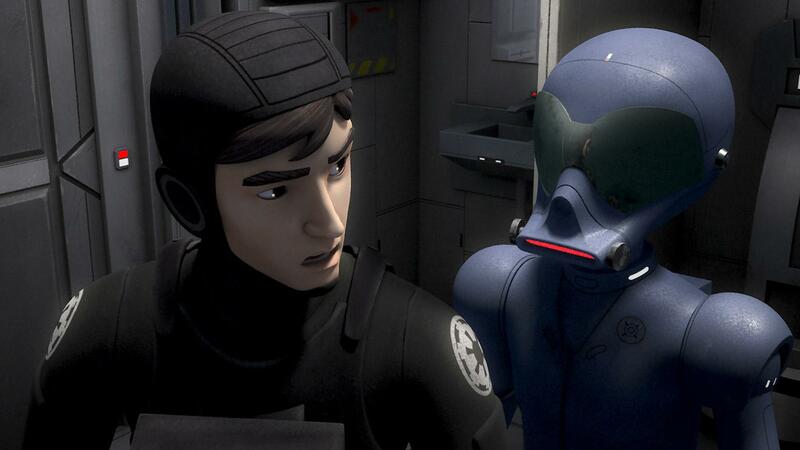 "If you had the choice of being best friends with Chewbacca, and hanging out with him all the time, so your relationship was just like the Chewbacca/Han Solo partnership, or being best friends with R2-D2, and hanging out with him all the time, just like the Luke/R2-D2 partnership (minus C-3PO), and assuming you could perfectly understand everything that was said by whichever best friend you chose, who would you pick?" I gave the question more thought than I would like to admit, and eventually, I started pondering the logistics of sharing my apartment with a Wookiee. I figured my food expenses would drastically increase, but that didn't bother me as much as the next problem that occurred to me: Could I handle sharing a bathroom with Chewbacca? 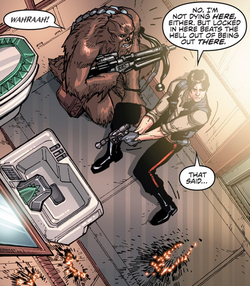 That is to say, can a toilet designed for use by humans handle the kind of punishment a Wookiee is likely to dish out? How long does it take for a bathroom to become habitable again after a Wookiee uses it? Would I have to leave the apartment for a few hours so it could air out after Chewbacca does his business? The other problems that would likely arise from having a Wookiee roommate - shedding; fleas; having to clean enormous hairballs out of the shower drain every morning; angry neighbors complaining and calling the cops because Chewie keeps eating their pets; etc - would probably pale in comparison to the horror of modern plumbing's inability to cope with the digestive processes of a seven foot tall carnivorous space-ape with a penchant for eating raw Endor-monkey meat. Let's just say, even toilets let Wookiees win. 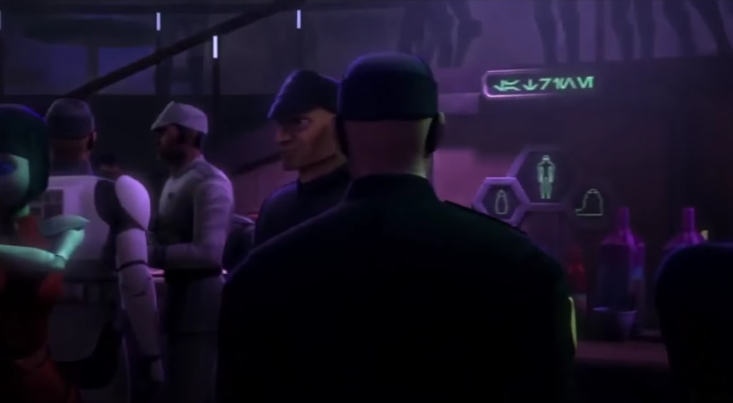 In Star Wars: The Clone Wars, we see a sign labeled "LATRINE" in a bar, with symbols representing various races. From that, we can assume that bathrooms provided options for at least a few different physiques. 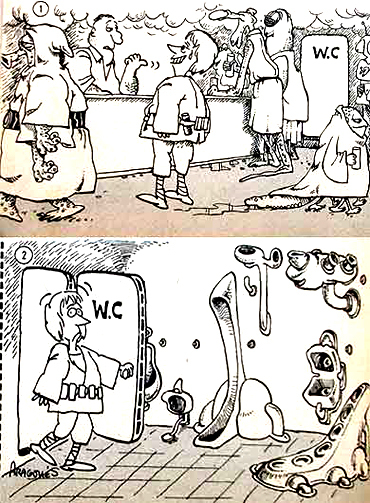 In the Legends continuity, it seems human toilets were essentially the same as our own. I can find no reference to the toilets of other species or instances of other species using human toilets. However, given that many species could breed with humans, I would assume that many species had similar enough bodies to use human toilets just fine. "It was one of the big multipurpose stalls, with a toilet, urinal, trough, collection rods, and a telescoping drain with suction action." "Embarrassing as that had been been, coming out two minutes later to confess that she couldn't figure out which bits of plumbing to use had been worse." Although the plumbing fixture itself is not shown, its method of use resembles that of a western-style toilet or urinal. What was Palpatine doing during the events of Episode IV? Do Wookies use human toilets? Are Star Wars and Indiana Jones in the same galaxy, far, far away? How many systems are there in the Galaxy far far away? Does the concept of heaven exist in the galaxy far, far away? Does the concept of the Abrahamic god exist in the galaxy far, far away? Does the Galaxy Far Far Away have a name? How is time measured in the galaxy far far away? How do people shave in the Galaxy Far, Far Away?